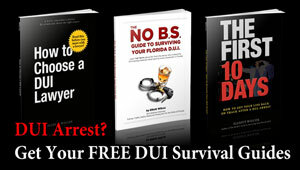 Most Tampa DUI defense attorneys won’t make guarantees. But we do. 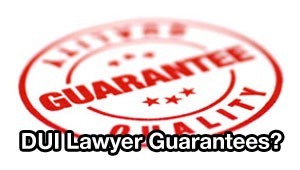 No attorney can ever guarantee the outcome of a case. Not only is it unethical to promise an outcome, it’s impossible. No attorney can control what the police, the prosecutor, or the judge will do. It doesn’t matter how much money you throw at the problem, you can never guarantee how a DUI case will turn out. (That’s why you should RUN out of the office if an attorney “guarantees” you a particular result). We GUARANTEE that calling won’t be a waste of time. On the initial telephone conversation, we won’t hold back – we’ll tell you what defenses we see to your case, how to preserve any critical evidence in your case, and tell you what steps to take so you can get a temporary driving permit. We GUARANTEE that when you call for your initial consultation, you’ll get to speak directly with the attorney who will actually handle your case. We GUARANTEE that you’ll never be handed off to a junior attorney. The lawyer you speak with will do ALL of the work on your case, and will be the same attorney with you every step of the way. We GUARANTEE that downloading and reading the book will be a smart use of your time. 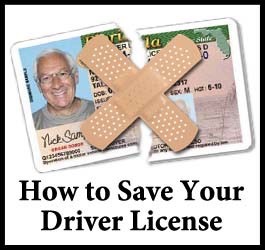 You’ll learn additional action steps you can take to improve your chances of winning, valuable questions to ask before hiring an attorney, and how to legally drive with your work permit so you don’t get arrested and thrown into jail again. 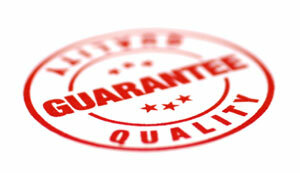 We GUARANTEE that you will be treated with courtesy and respect. 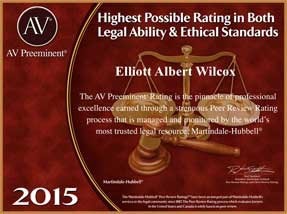 We GUARANTEE that we’ll do everything in our power, both legally and ethically, to help you avoid a DUI conviction. We GUARANTEE that all available legal issues in your DUI case will be researched, and we will file motions to suppress and get as much evidence as possible thrown out of your case. We GUARANTEE that we will begin planning your Tampa DUI defense and working on your case from the day you hire us. We GUARANTEE that we will review the Intoxilyzer agency inspection records and operator permits to see if we can get your breath test results thrown out. We GUARANTEE that you will kept out of court for as long as possible, so you don’t have to take time off of work. We GUARANTEE that your case will receive the personal attention it deserves. We GUARANTEE that you will be kept updated about the status of your Tampa DUI case. We GUARANTEE that we will be honest and completely candid with you. If you’ve been arrested for DUI, you should contact The Wilcox Law Firm to discuss the possible defenses in your case. To contact a Tampa DUI lawyer and begin preparing the defenses in your case, call (855) THE-DUI-GUY (855-843-3844) TODAY.